Hamilton Police say they found the second person wanted in connection to the murder of Michel Pilon, but he will not face charges. Hamilton Police say they have found the second person wanted in connection with the murder investigation into the death of 53-year-old Michel Pilon, but he will not face charges. "We have cleared all the scenes and the investigation continues," said Detective Sgt. Dave Oleniuk through an email. "The outstanding male who was wanted for investigation was located and will not be charged." Police would not provide any additional information about the investigation. Michel Pilon was found dead at an east-end apartment early Friday. 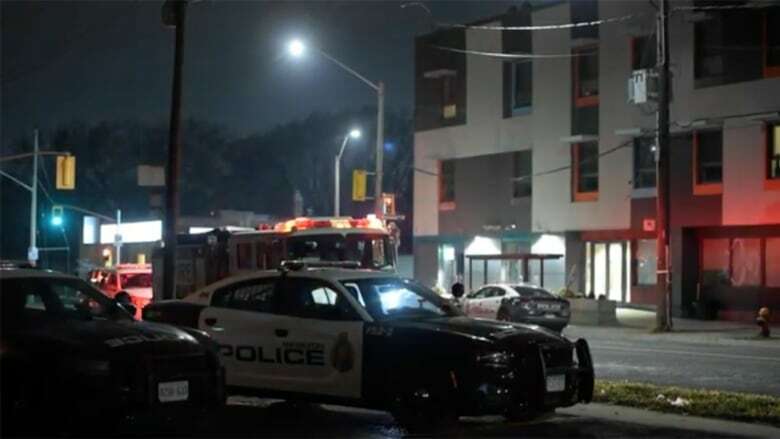 Police were called to an Indwell affordable housing complex, where Pilon lived, just after 1:30 a.m.
On Friday, police said they arrested 55-year-old George Opassinis at the scene and charged him with first-degree murder. They do not believe Opassinis lived in the building, which is at Melvin Avenue and Parkdale Avenue North. Many of the people living in the building have some form of disability, Oleniuk said Friday, and receive assistance from on-site staff. Police said the building's tenants all moved in at the end of September. Oleniuk said the victim "had some disabilities" and "was seen to use a wheelchair or a walker." On Friday, he said police believe this was a dispute between people who knew each other, and that there is no threat to public safety. This is Hamilton's eighth homicide of 2018.